Georgia is a country in the Caucasus region of Eurasia, serving as a bridge between Western Asia and Eastern Europe. It borders the Black Sea from the West, Russia from North, Turkey and Armenia from the South and Azerbaijan from the Southeast. The country has a population of about 3.7 million people with GDP amounts to approximately US$ 14.5 billion in 2016. 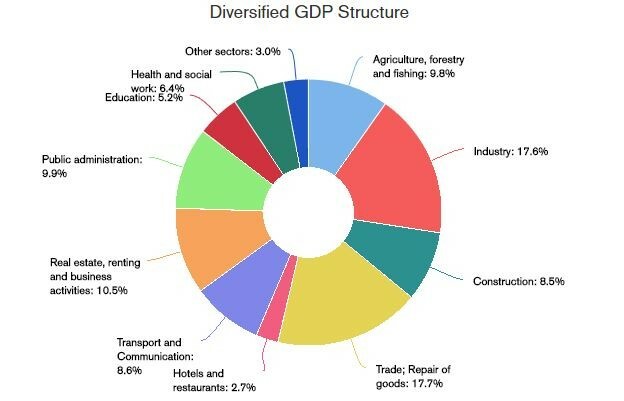 Georgia’s GDP structure is well diversified sustainable for long term growth. Georgia is strategically located between Europe and Asia on the historical “Silk Road”, which is advantageous to facilitate international trading. The country also lies on China’s “One Belt, One Road” project, which will connect the two continents via an advanced railway and infrastructure system. Investment in Georgia benefits from a highly stable political environment, liberal and free market economy, and competitively priced workforce. The country ranks 16th on the Ease of Doing Business ranking by World Bank and 13th on the 2017 Index of Economic Freedom by the Heritage Foundation, highest of all countries in the region. Georgia only has 6 flat taxes, with corporate tax fixed at 15%, the 4th lowest in Central Asia. In addition, companies are also exempted from capital duty, social security contribution, payroll tax and branch remittance tax. Georgia has also signed Bilateral Investment Treaties (BIT’s) with 32 countries and is member of ICSID Convention since 1992. The government acknowledges that foreign direct investment is crucial to its development and growth, and thus in recent years has been taking efforts to attract investors. The most common type of legal entity in Georgia is a limited liability company (LLC) because shareholders are only liable for the number of shares they own in the company. A Georgian LLC can be owned by individuals or legal persons. Each LLC needs to appoint at least one shareholder and one director, who can be the same person and are not required to be Georgian resident. Foreigners can own 100% of the company and there is no FDI restrictions. There is no minimum capital requirement and investors are welcome to incorporate companies with a mere GEL 1. Incorporating a LLC also offers investors much flexibility because registration process in Georgia is relatively simple. Everything from registering the business to opening of corporate bank account can be done remotely without actually visiting the country, saving your valuable time and expense. If properly planned, company registration in Georgia can be done within 1-2 weeks without travelling. The process is rather simple and straight forward with only 2 documents that need to be signed by the foreign investor. First, it is advisable to do a name check with the Georgia company registry to ensure that the preferred name is available. 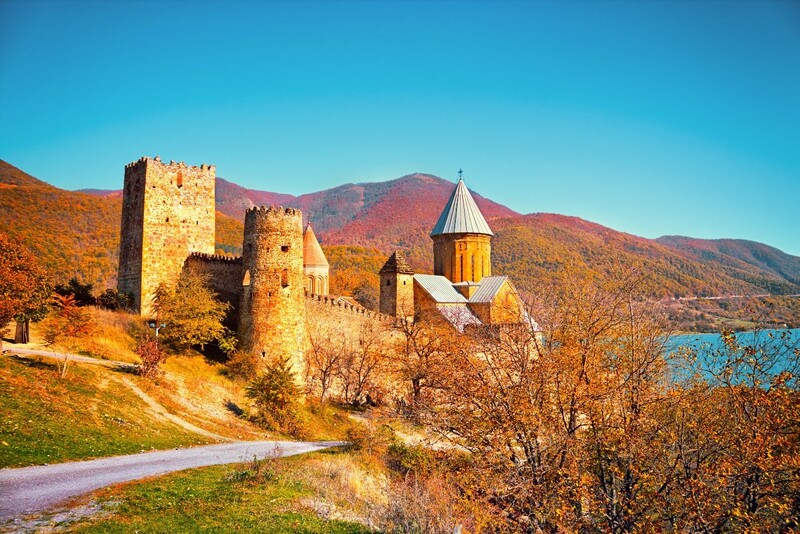 Then, the foreign investor needs to execute a power of attorney and get it apostilled/legalized in his or her home country to authorize Georgian lawyers to incorporate the company on their behalf. The lawyers will then prepare a full set of application forms including a draft company charter and shareholder’s decision for the foreign investor’s review and approval, before submitting the same to the National Agency of Public Registry (NAPR). Once the company is legally incorporated, the foreign investor needs to sign and legalize another power of attorney to procced with company tax registration and bank account opening (if applicable). Thereafter, It takes about 3-5 working days to get the company registered with Georgia Department of Revenue and obtain a Tax Identification Number. The company is now legally and practically feasible to conduct business and sign sales contracts. Interested in setting up a business in Georgia? If you are an aspiring entrepreneur interested in starting your own Georgian company, do not hesitate to contact us and talk to one of our country experts. We can help you manage the A to Z of starting and running your business in Georgia with efficiency and professionalism. Give us a call today at +65 67350120, or write us an email at email@healyconsultants.com. « These 5 big companies call Massachusetts home?